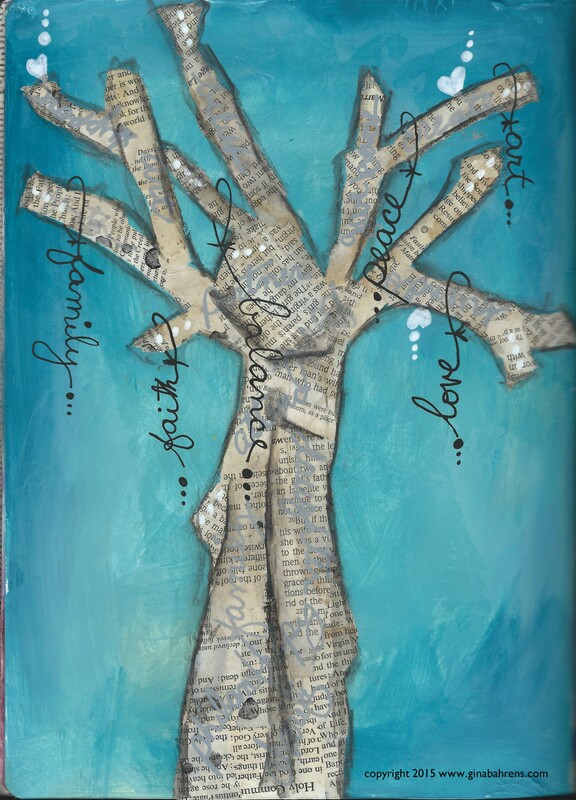 This week’s prompt encourages you to add a tree to your journal page, but not just any tree, a tree of life. What this means to you can be varied. 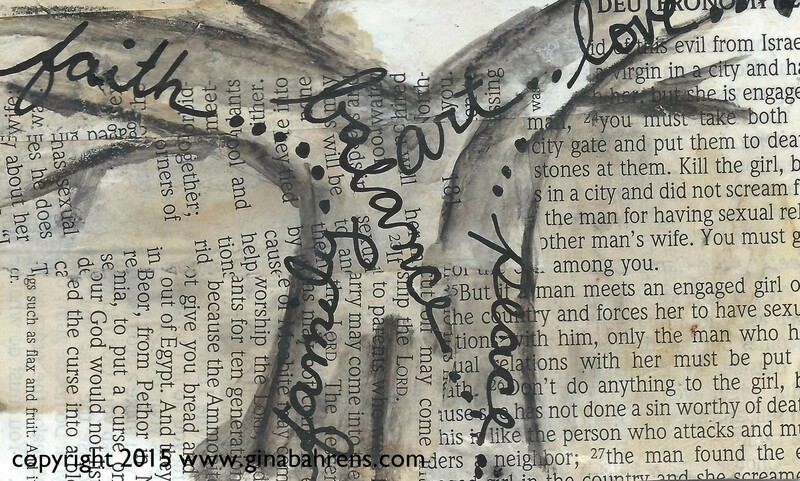 My page leans to the whimsical while Gina’s focuses on important things in her life. 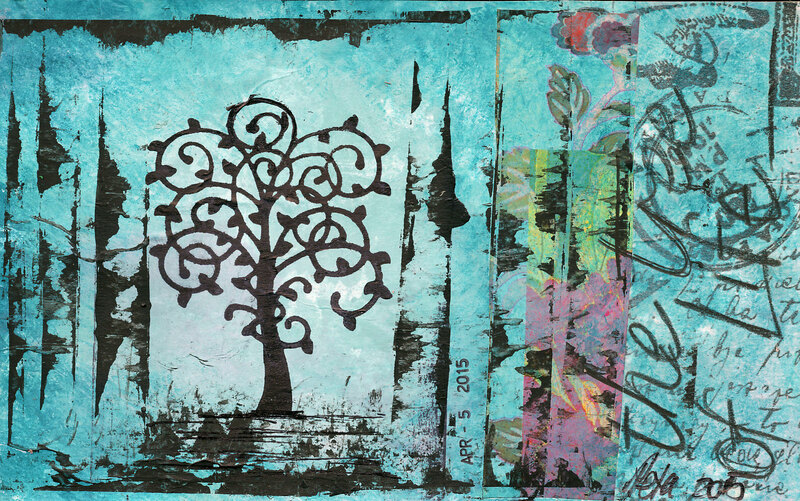 Peta’s amazing Tree of Life page is the lesson this week, and you will learn how to create stark contrast between a layered background full of depth and a bold focal subject.